Should you get Vitamin D Injections if your doctor recommends them? Well, if you have been diagnosed with vitamin D deficiency and your Vitamin D Level is VERY low, you need to bring your Vitamin D Level up and you should get AGGRESSIVE treatment for that vitamin D deficiency. But should you get Vitamin D shots? Vitamin D Injections really benefit your doctor’s pocketbook more than they benefit YOU! So, if you are really interested in helping your doctor buy his next BMW, then go ahead and get those vitamin D injections. Otherwise, there is really just no good reason for you to get Vitamin D Injections -not even if you have poor Vitamin D Absorption. That’s it. So, let’s go over these individually because they are not as self explanatory as you would think. Oral vitamin D supplements are really the first and best choice for the majority of people. But BEWARE -not all oral supplements are created equal! You can get either Vitamin D2 or Vitamin D3. Read the argument about Vitamin D2 vs Vitamin D3 to understand why this is true- but in any case, don’t get any vitamin D from a prescription or shot. It is vitamin D2 and researchers have said,“Vitamin D2 is not suitable for supplementation”. Yet that is what your doctor is trying to give you. Go figure. What you want INSTEAD of injections is simply oral Vitamin D3- with emphasis on the 3. Unfortunately, if you have Vitamin D Deficiency, you are going to need a higher dose of Vitamin D Supplements than you can generally get at the health food store, so you are better off getting your Vitamin D3 Supplements Here. 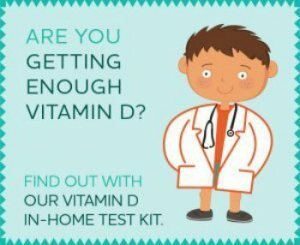 So, now that you have your Vitamin D3 Supplements in hand, you need to read the Vitamin D Deficiency Treatment page in order to find out how much Vitamin D3 you should Take. Sunlight is a great alternative to Vitamin D Injections if you can get enough vitamin d or if you have problems with Vitamin D Absorption. 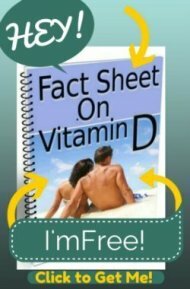 Sunlight is really the way that we are SUPPOSED to get our Vitamin D. But its likely that if you are reading this, then you have obviously not been able to get out into the sun enough to get your vitamin D. Even if you BELIEVE that you get ‘enough’ sun, if you are Vitamin D Deficient, then you are NOT getting enough sun. The VAST majority of my clients with Vitamin D deficiency argue with me that they get ‘plenty’ of sun. But the fact is that they ARE vitamin D deficient, so they simply are NOT getting enough vitamin d from sunlight- otherwise they wouldn't have vitamin d deficiency, right? You CAN use Sunlight as a tool to increase your vitamin D Levels, but you need to read the Vitamin D and Sun page first. Because most of us live and work indoors, and since you can't get Vitamin D in Winter north of 37 degrees latitude in the Northern hemisphere, vitamin D from sunlight is really not a reasonable alternative for most people, so you will need to get oral supplements. 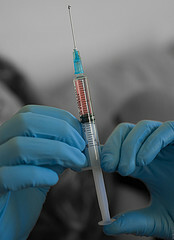 Vitamin D Injections- despite what your doctor may tell you- are really just NEVER necessary. They are INFERIOR in every way to oral Vitamin D Supplements and sunlight because of the fact that they are, without exception, Vitamin D2. And I will repeat this, YOU DO NOT WANT TO TAKE VITAMIN D2. I hope that this helped you decide about getting Vitamin D Injections. Let me know if I can answer any questions that you may have about the best way to get your Vitamin D Levels up to the Optimal Range (and remember, you don’t want to just have NORMAL vitamin D Levels, you want OPTIMAL vitamin D levels)!! Why should you even CARE about all of this Vitamin D Stuff? Keep reading to learn about the Vitamin D and Cancer Connection!